UPDATED: Tue., Jan. 30, 2018, 9:39 p.m.
First Night Spokane will no longer host a New Year’s Eve party downtown amid waning attendance and rising costs. “This last year we just took too many hits in the 4th quarter and on top of it our event fell on a Sunday, which is notorious for being a slow day for admission sales,” Nanette Miller, executive director of First Night, said in an email Tuesday. The event costs about $200,000 to host and needed about 6,000 people to attend to break even. This year, it sold just over 3,000 tickets. Miller said last month that the event’s future was in doubt. It’s a similar story around the country as lackluster attendance signaled the end of what were billed as family friendly events featuring art, music and food rather than alcohol-fueled parties. The nonprofit fell short of funds to pay this year’s bill and is seeking donations for a clean closure. First Night began in 2001 by the former Chamber of Commerce, which is now called Greater Spokane Inc. It drew 15,000 people. 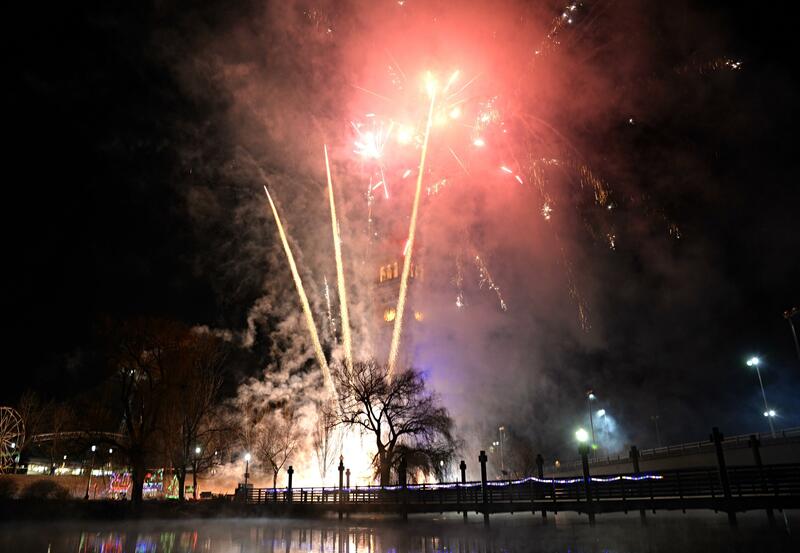 At its pinnacle, the Spokane event attracted a crowd of about 35,000 people downtown to ring in the New Year. The idea of First Night originated in Boston in 1975. Miller said that if First Night was to ever make a comeback, it would likely do so under a different name. Published: Jan. 30, 2018, 7:11 p.m. Updated: Jan. 30, 2018, 9:39 p.m.